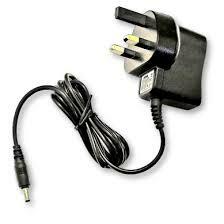 Click the button below to add the UK Power adapter 5V 2A to your wish list. Great item for a great price, glad to have found a replacement charger at this price. Item was quickly posted, although only after I queried the shipment status, almost three weeks after the payment. 4 stars for the product itself, less for the service this time. Cheaper than ebay and perfect for my sons tablet. My Smart Pad arrived without a mains charger, it has a USB OTG which requires a USB A male to mail lead, which it didn't have. So I had no way of recharging the Pad out of the box. I visited the J&Y website and found the mains charger , at £3.99 including postage this was extremely good value and it works a treat. Very happy with the product thank you. tried to find a product that fitted my smart tablet, but none fitted properly. typed the ref off the old one into google and this came up as a direct replacement.